[sourceLink asin="" asin_jp="" cdj_product_id="" text="" url="" ] [/hide] [en]Official Images / Key Visuals[/en][es]ImÃ¡genes oficiales[/es] [tweet 1093436184813015040 align=center] [tweet 1060555274883420162 align=center] [tweet 1056833080172912640 align=center] [tweet 1045599054028316672 align=center] [tweet https://twitter.com/animatetimes/status/1027721455524503552 align=center] [tweet https://twitter.com/anime_shoumetsu/status/1014521762342727680 align=center] [tweet https://twitter.com/animatetimes/status/1000869259747123200 align=center] [en]Synopsis[/en][es]Sinopsis[/es] One day, an entire city was annihilated.Heâs great with machines and has more or less mastered everything from programming to scooters.She used to be a colleague of Takuyaâs, but recently she has not contacted him." img=] [ua_character name="Kouta" voice="Makoto Takahashi" desc="Kouta is also a detective. Relying on the message from Yukiâs father who disappeared without a trace, the two head towards the annihilated city, Lost." img=] [ua_character name="Kikyou" voice="Aimi Terakawa" desc="Kikyou is a researcher who works with Eiji." img=] [ua_character name="Geek" voice="Taisuke Nishimura" desc="Geek is Takuyaâs childhood friend. 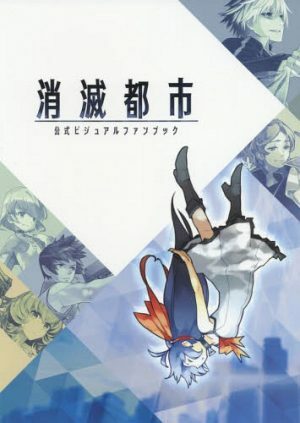 [en]Characters & Voice Actors List[/en][es]Personajes & Seiyuus[/es] [ua_character name="Yuki" voice="Kana Hanazawa" desc="Yuki is a girl who was the sole survivor of the city annihilated three years prior.Known as âLostâ, she heads there with Takuya, a boy her father referenced in messages which brought her to him. However, a set of unexpected difficulties stand in the way.